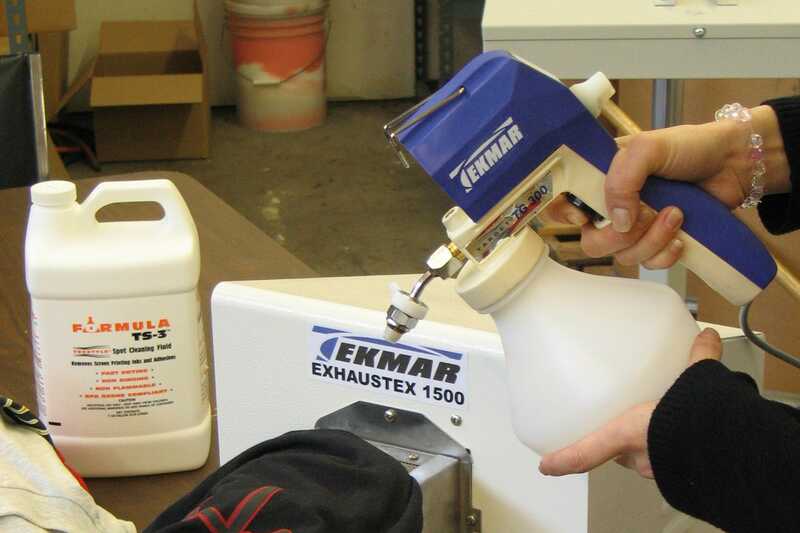 Tekmar’s TS chemicals & spray gun systems actually penetrate soils and stains, encapsulating them. This cleaning innovation guarantees great results, time after time. Tekmar adhesives are manufactured in the USA from the highest quality components, helping produce dramatic savings in adhesive and productivity costs. Tekmar manufactures a range of specialty equipment for the sreen printing industry including Pallet Cool-Down Systems and Internal T-shirt Adhesive Systems. The Tekmar range of Specialty Cleaners-include Citrus based Hand cleaner, Adhesive Remover and Degreaser, Vinyl Letter Remover and other unique products developed to increase productivity. "Thanks! the Tekmar exhauster is great, just got it piped out of the room which is clutch!" "Over the years we have tried other spot cleaning fluids, but everytime we find ourselves comparing them to Tekmar’s TS-3. Quality, value and effectiveness is alway consistant with TS-3. This is the brand we will always stick with!" "We just got our New Tee-Tak internal T-shirt Tacker. This thing is great, we can do a shirt every 10 seconds. All over printing is a snap now. Thanks Tekmar!" 200 Beefy with a flash on one application…WOW."